Multi color set: White, Blue, Red, Green. - Best alternative to non-biodegradable ziploc plastic bags. - Very cost effective in the long run. Heavy-duty, durable. 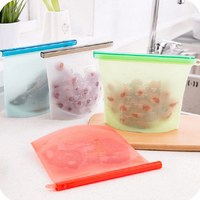 - Leak proof to store liquids such as soups, juices, smoothies, marinades, sauces. 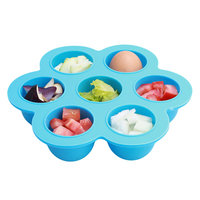 Perfect for storing food, liquids, or essentials,No oily residue sticks. Leak Resistant: Airtight seal locks in freshness, flavor and nutritional value. Can be stored in any direction! Saves you money - Same commercial quality as name brand bags at a fraction of the cost. Perfect for camping, traveling or on-the-go occasions.